5% OFF When you Like us on Facebook! Our men are trained, qualified, and capable of performing any move under any circumstance. 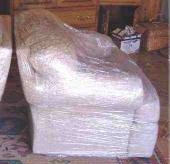 If your move requires special handling, we will let you know in advance. Our team will follow your move from the moment you first contact us for an estimate to the moment the move is completed to your satisfaction. The reputation of a mover is one of the biggest factors in selecting a mover, but for a long distance move it should be the biggest factor. Consider the care and effort that movers must apply. Experience and capability should take precedence aswell as competitive price! IF you require storage for your items before your new location will be ready, arrangements can be made to store your goods in our secure 'containerized' warehouse facility. 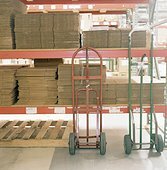 This type of storage provides the best security for your goods. When you are ready for your furniture we will reschedule a delivery date. FLAGLER MOVERS is locally owned and family operated. We are here to serve our community and make your moving experience a good one. We have a strong support group to answer any questions you may have.